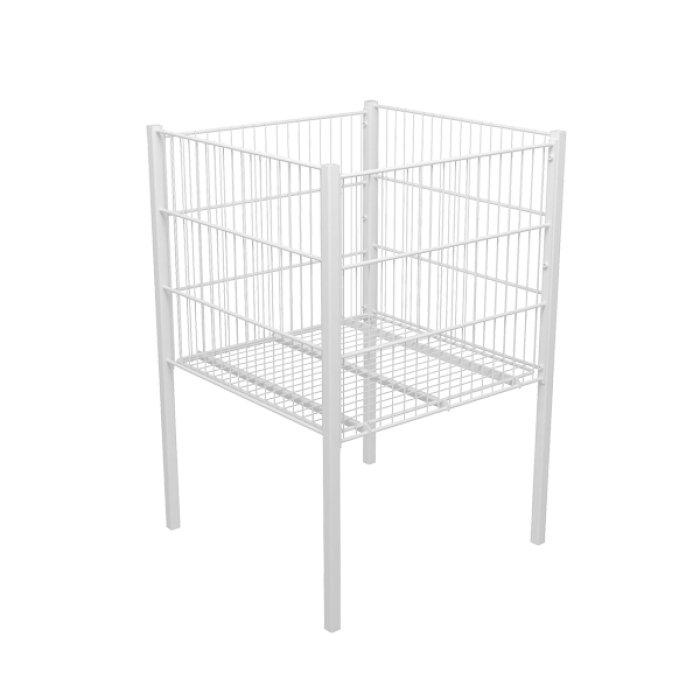 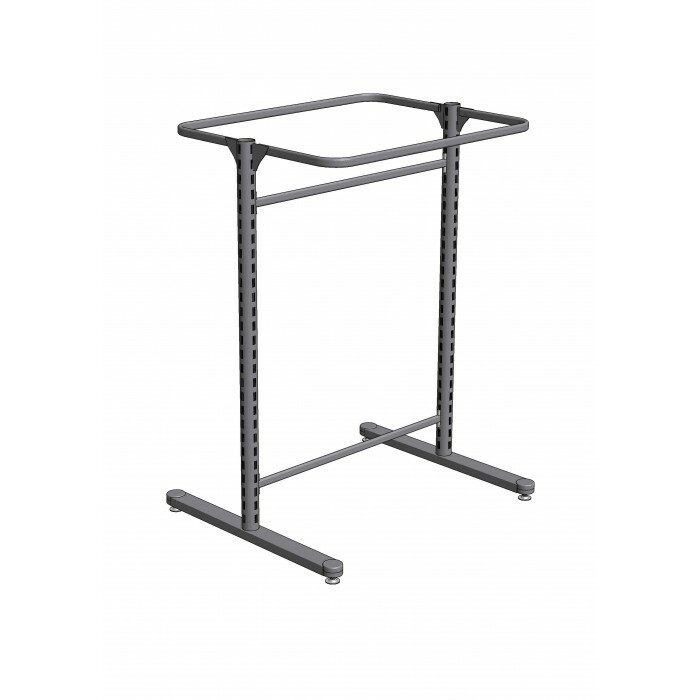 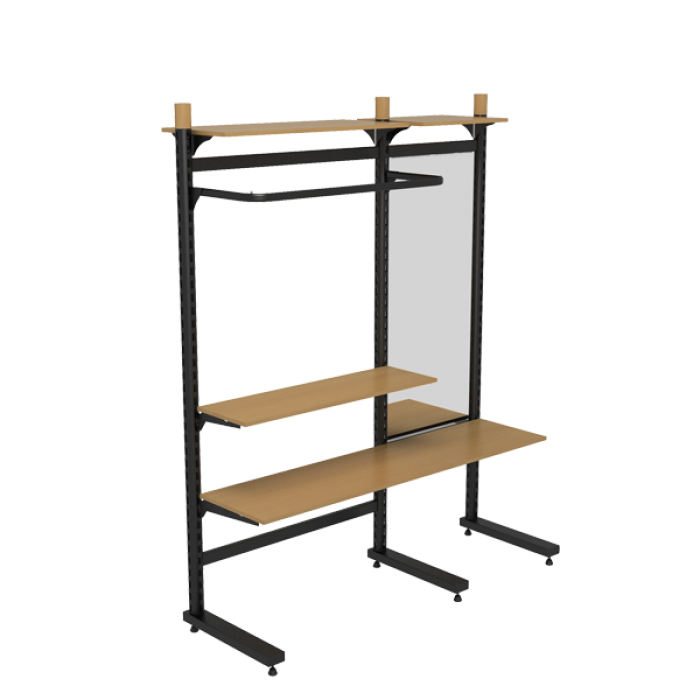 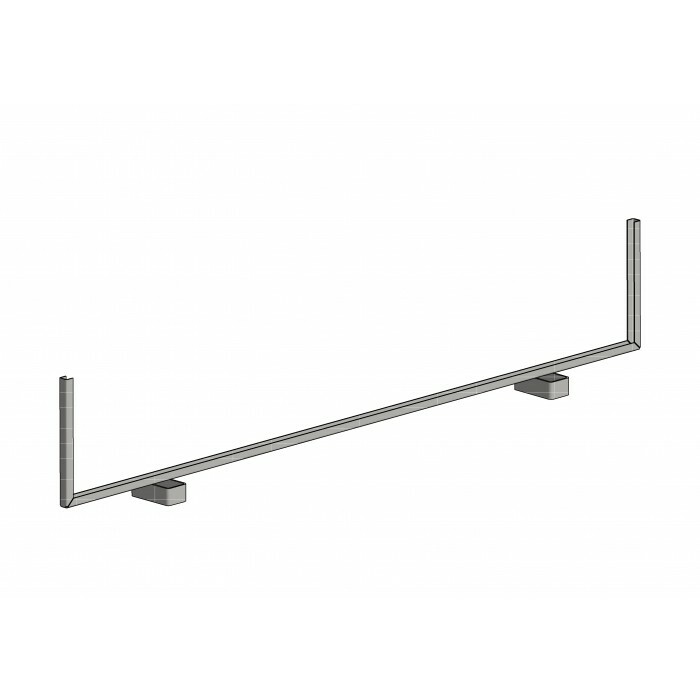 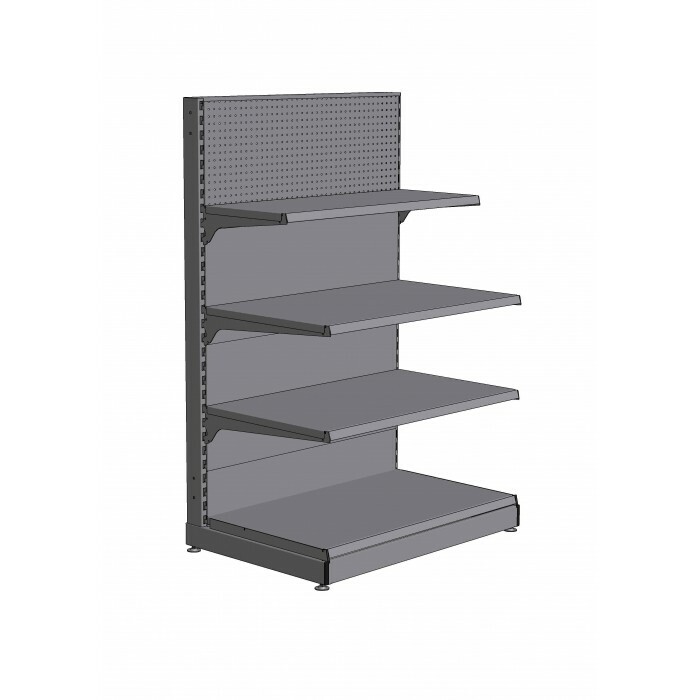 Island metal shelving of MEDIUM series. 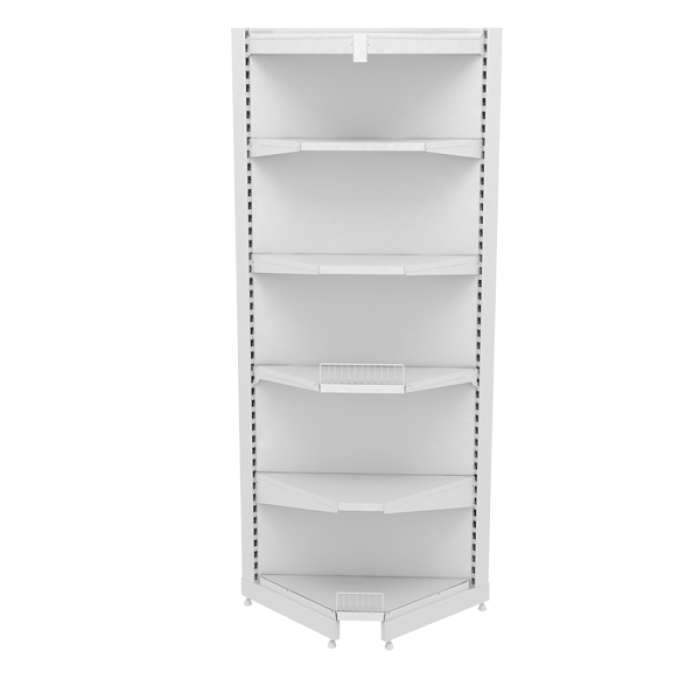 It is a double-sided section. 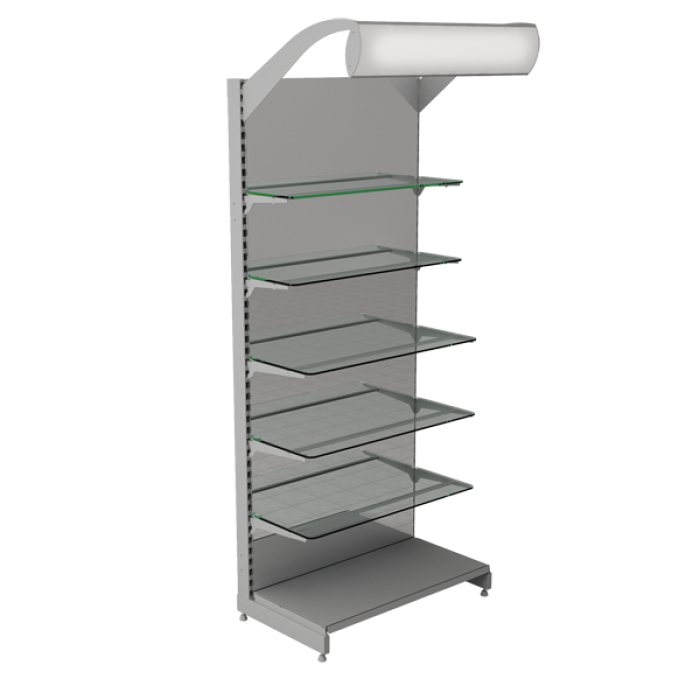 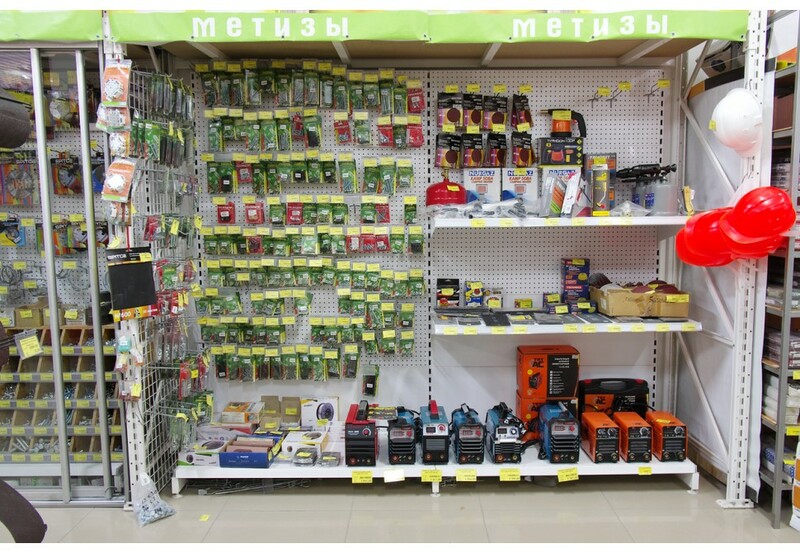 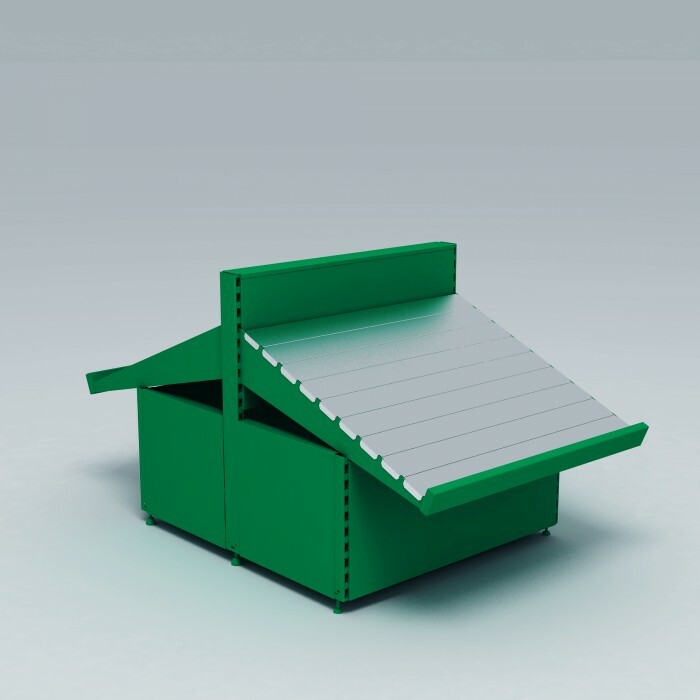 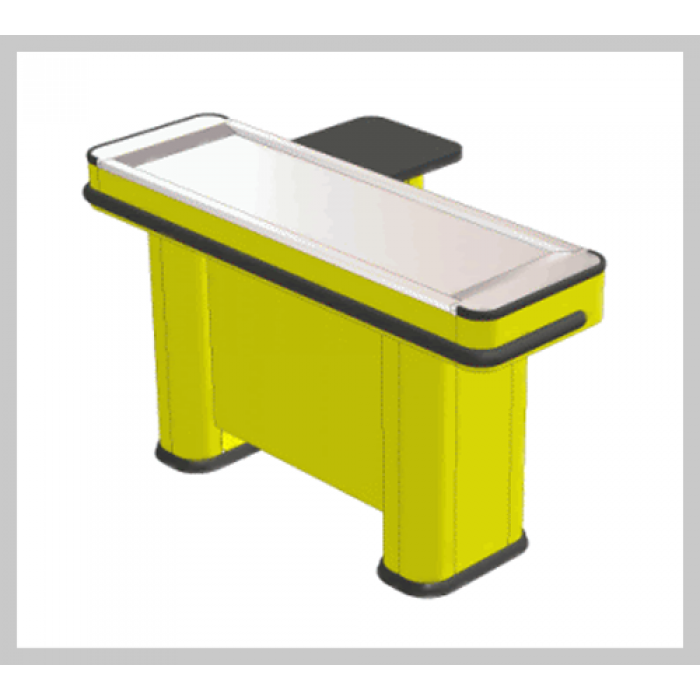 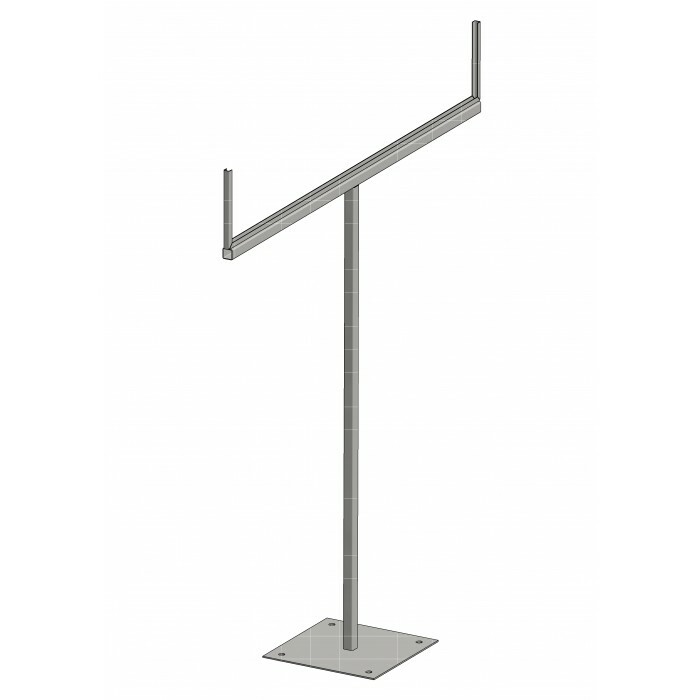 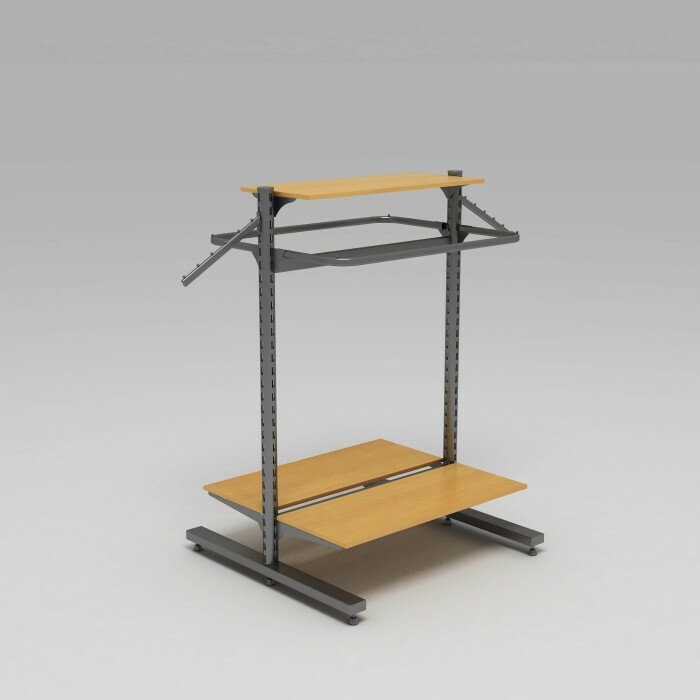 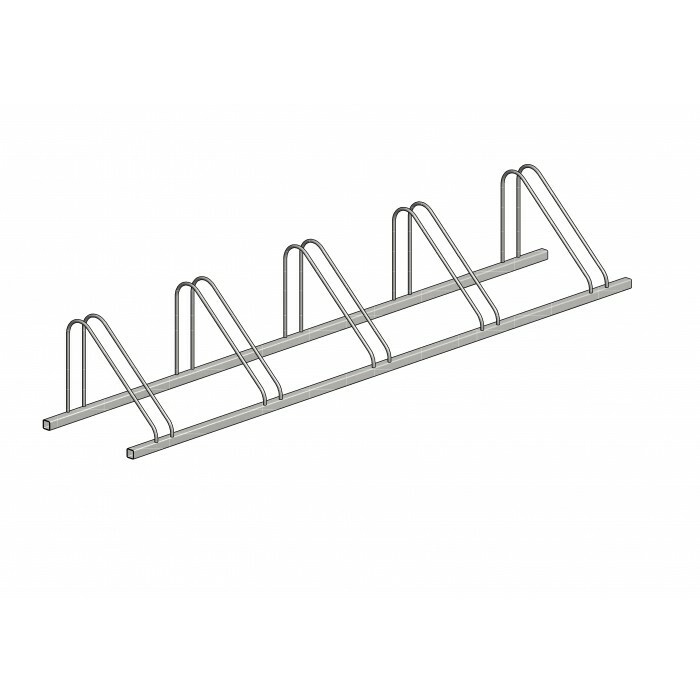 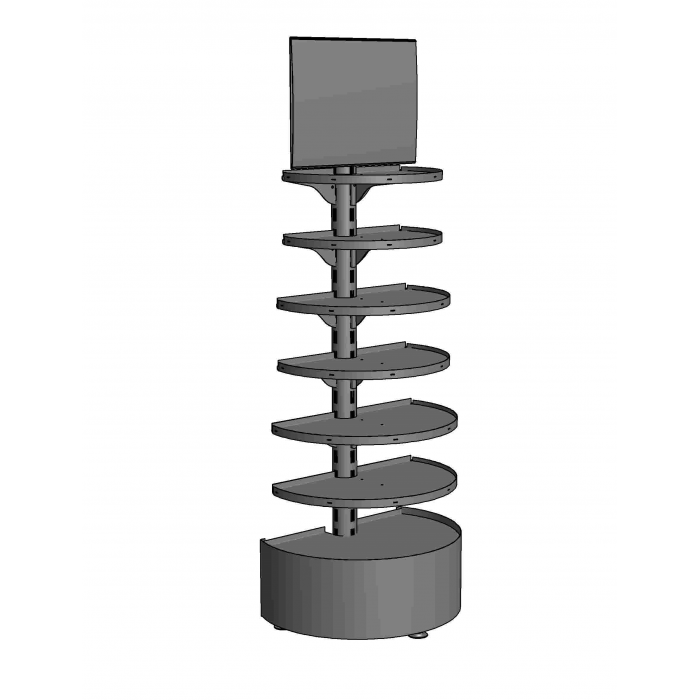 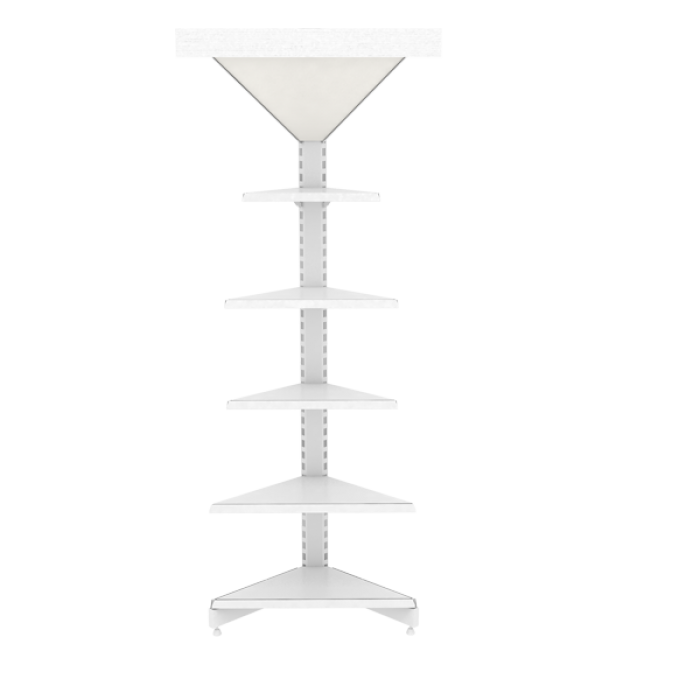 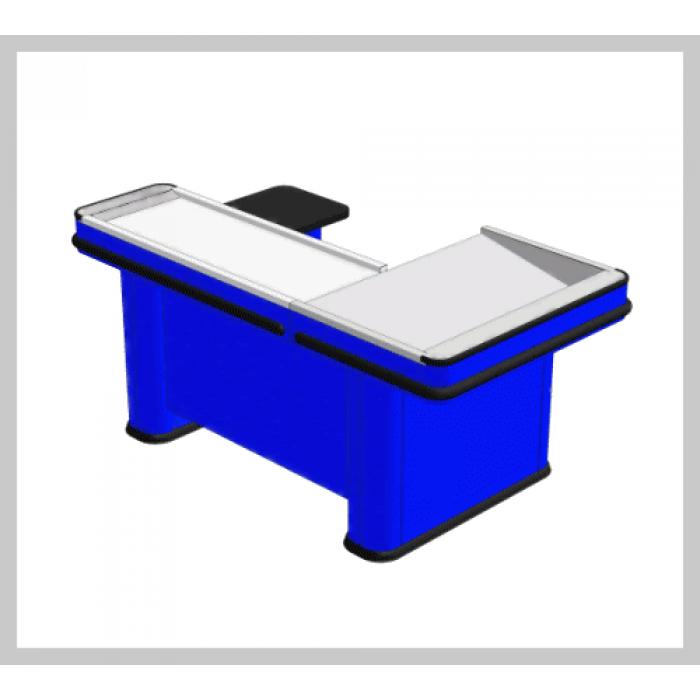 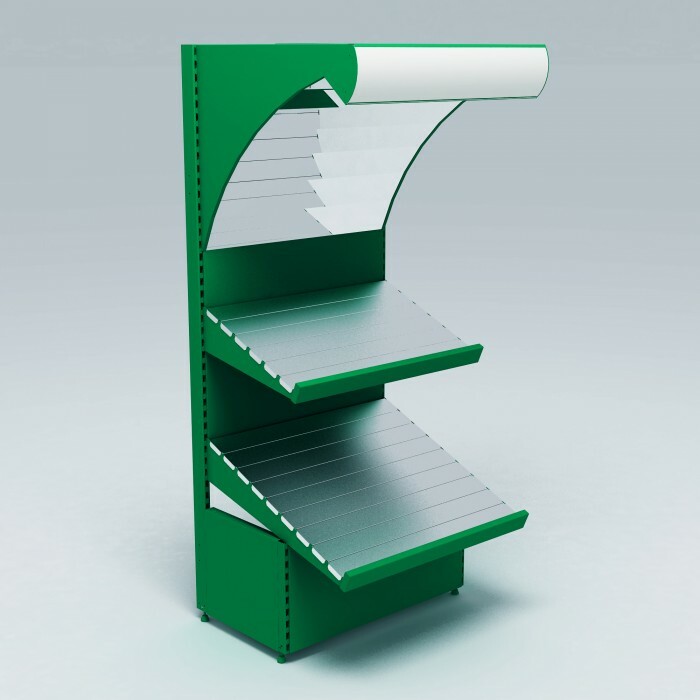 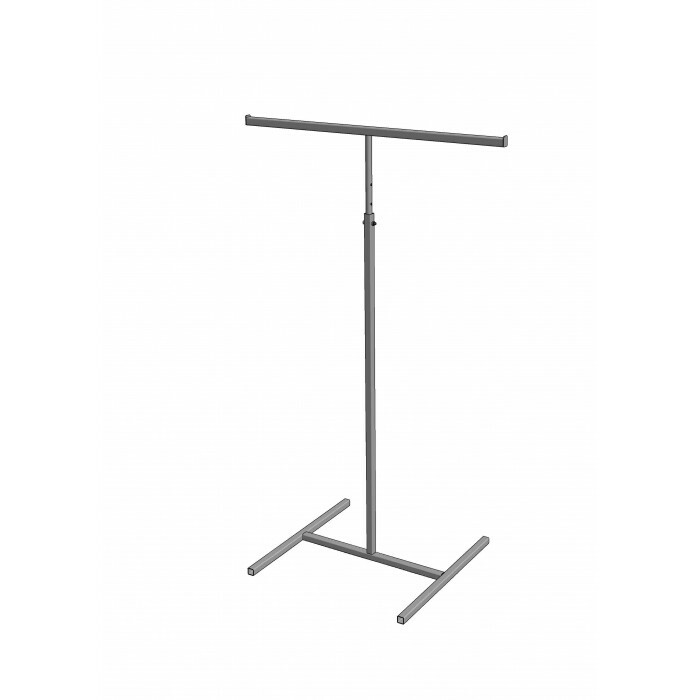 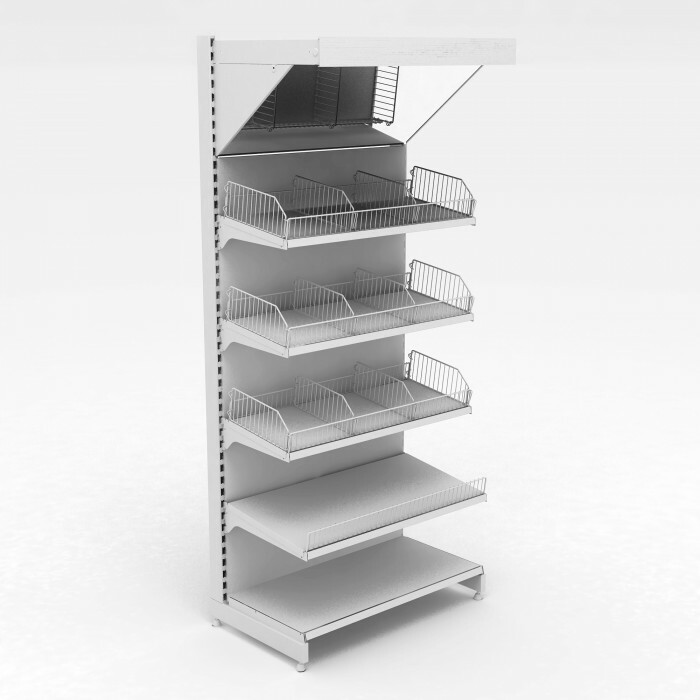 The design provides for displaying goods on the top of the shelving. 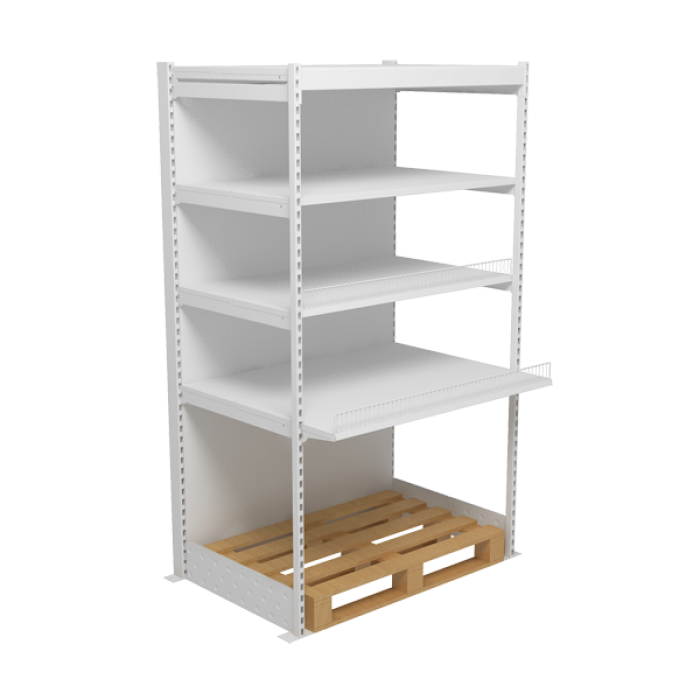 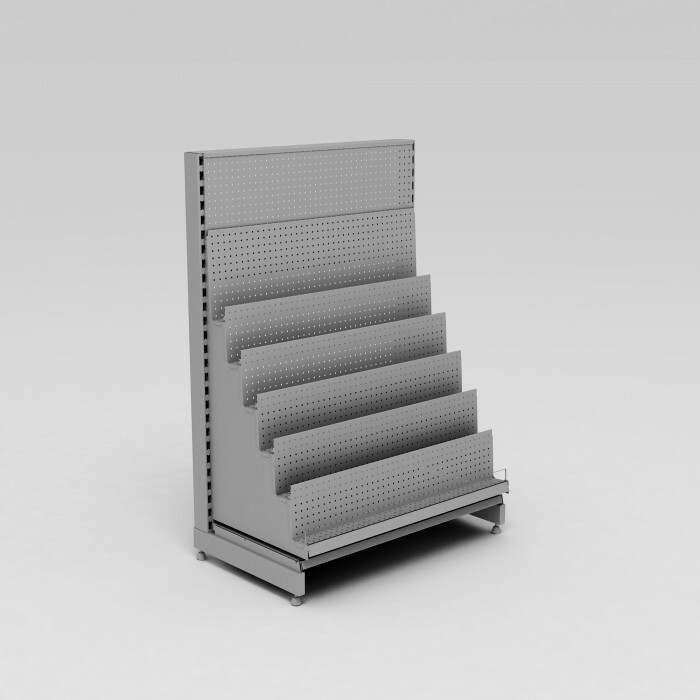 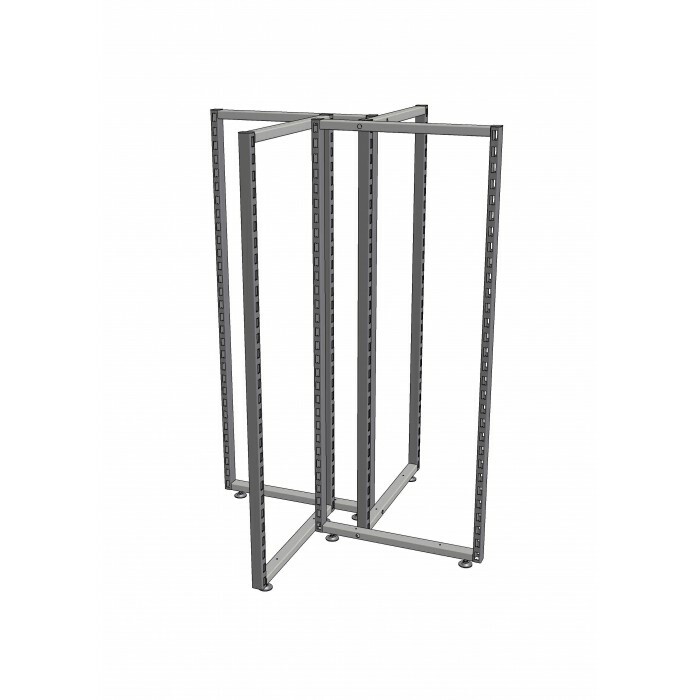 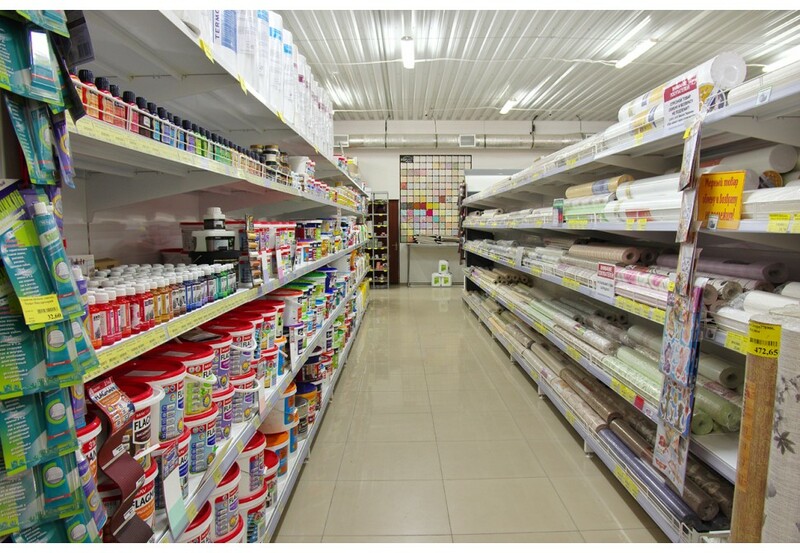 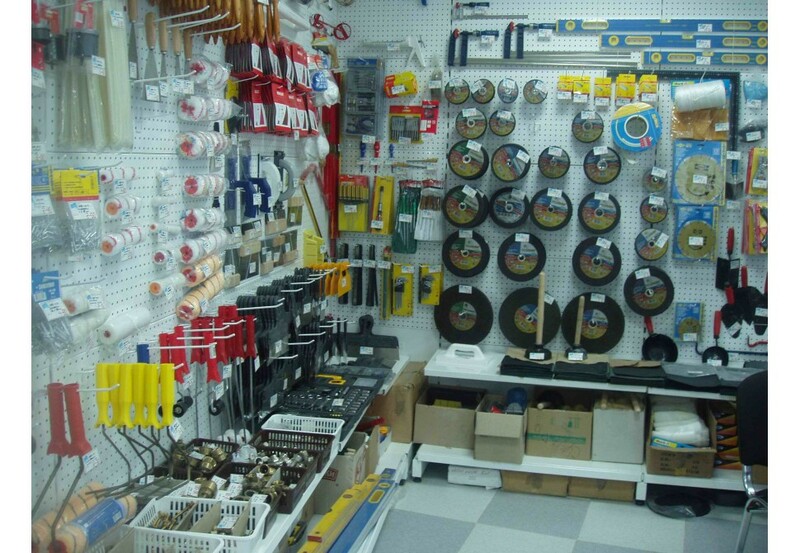 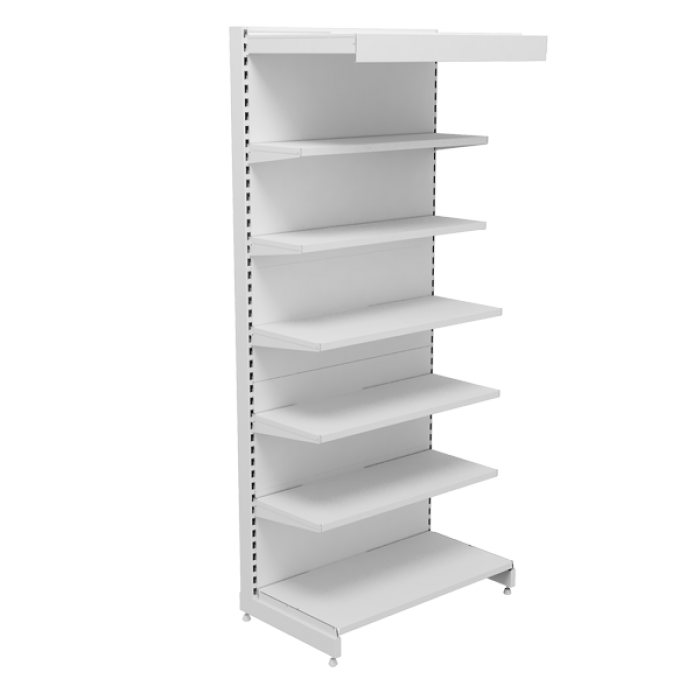 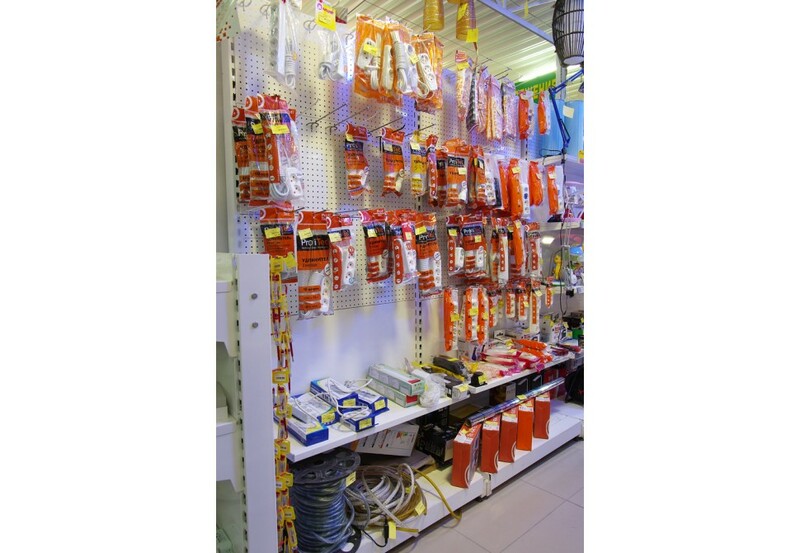 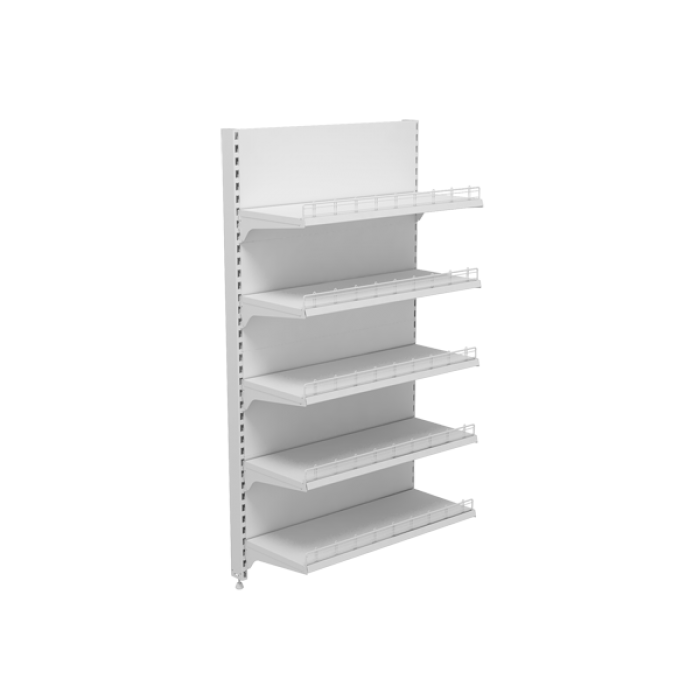 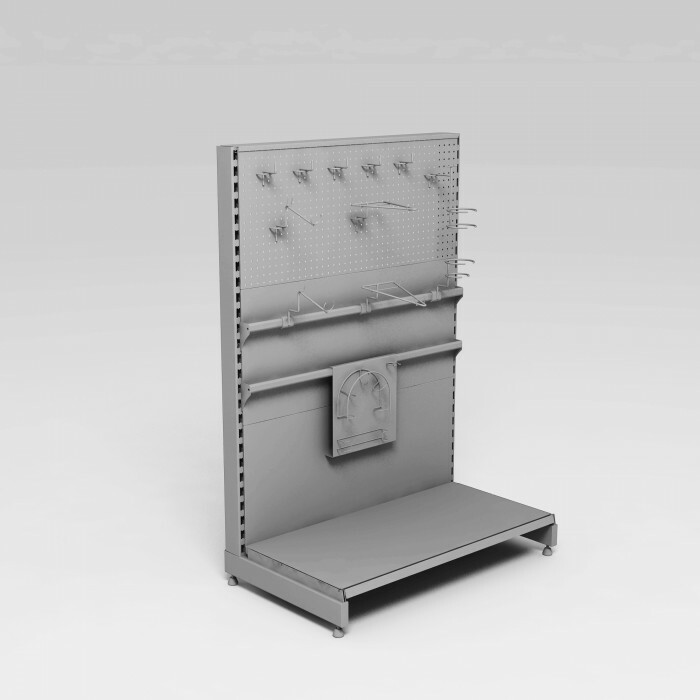 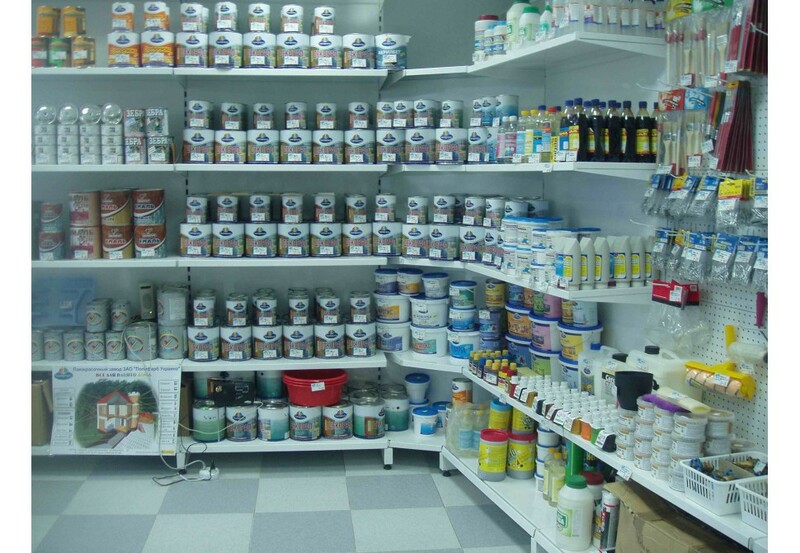 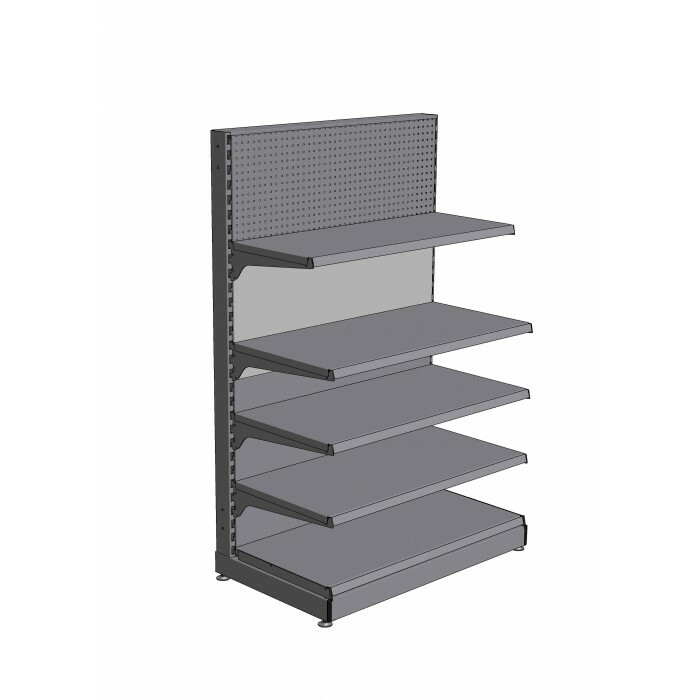 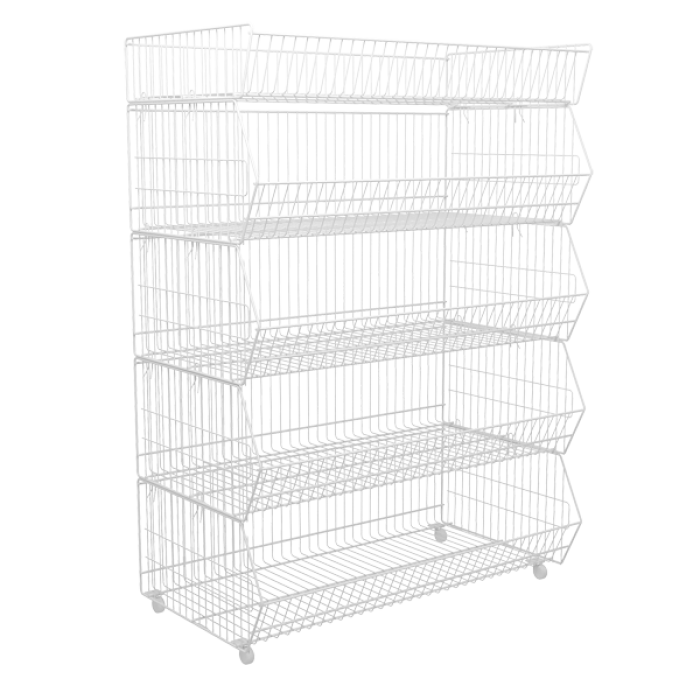 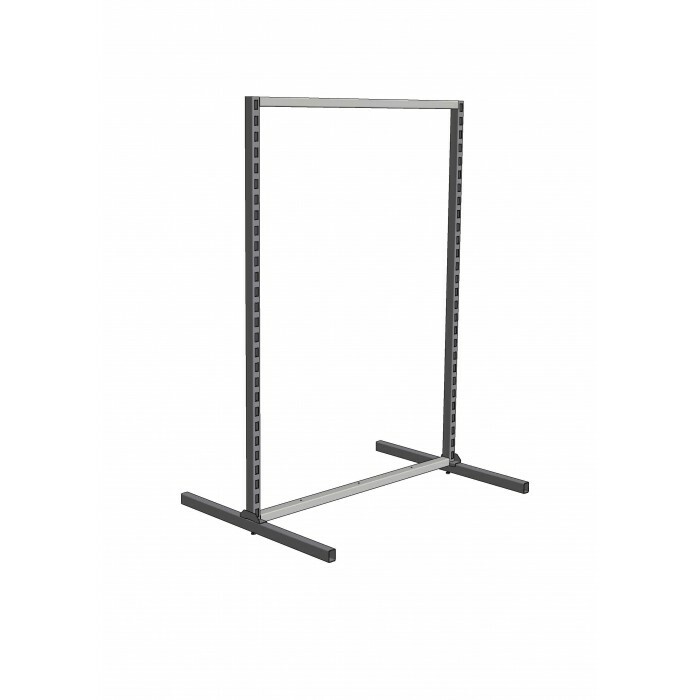 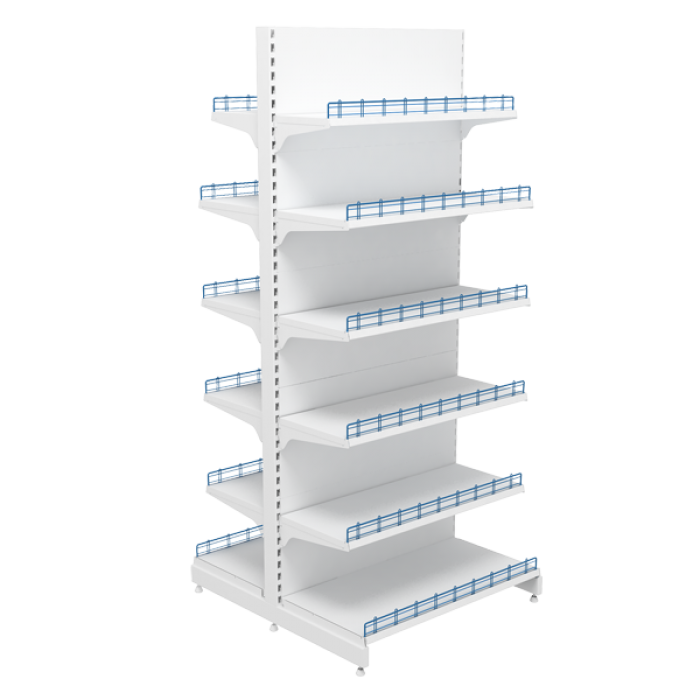 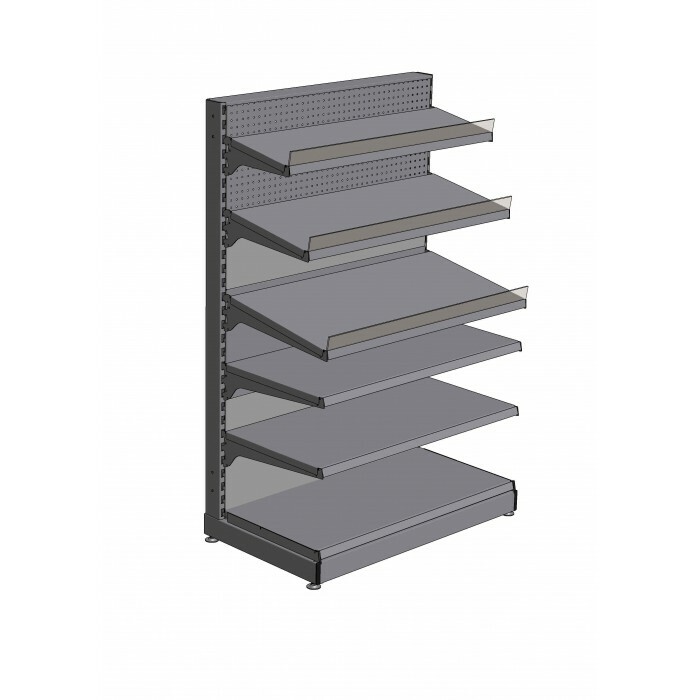 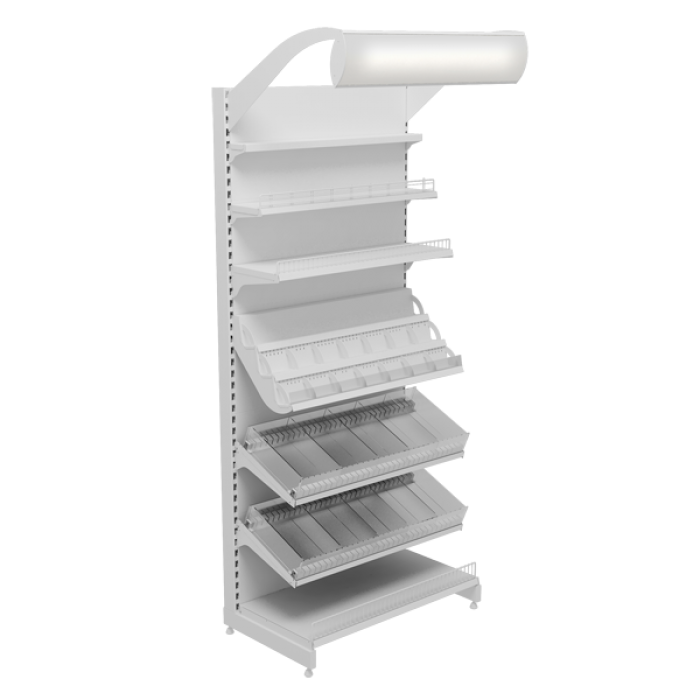 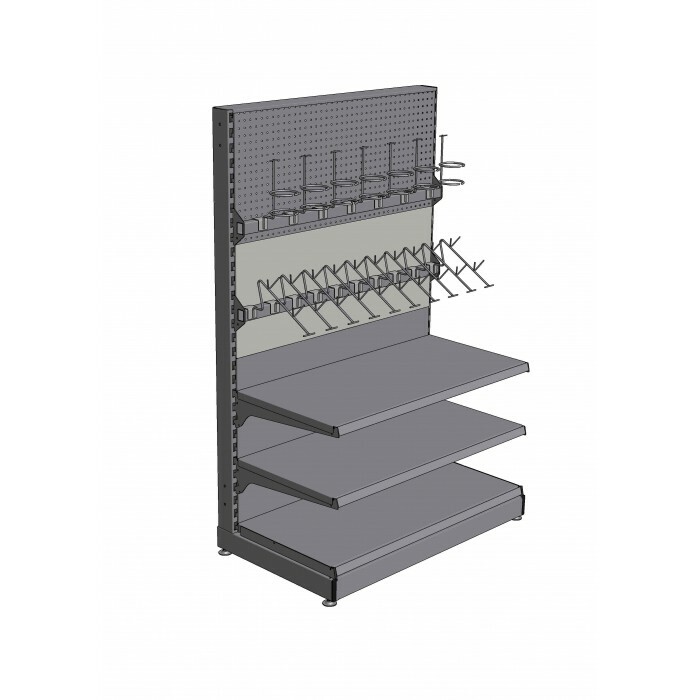 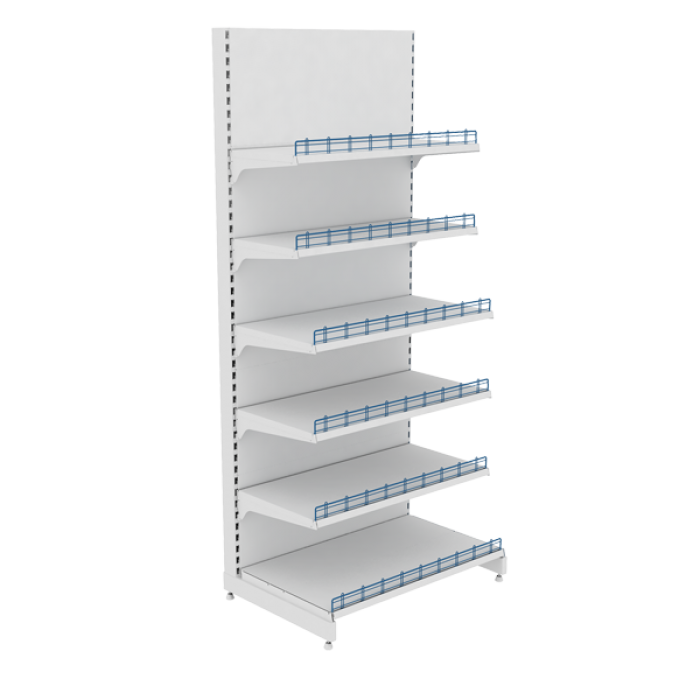 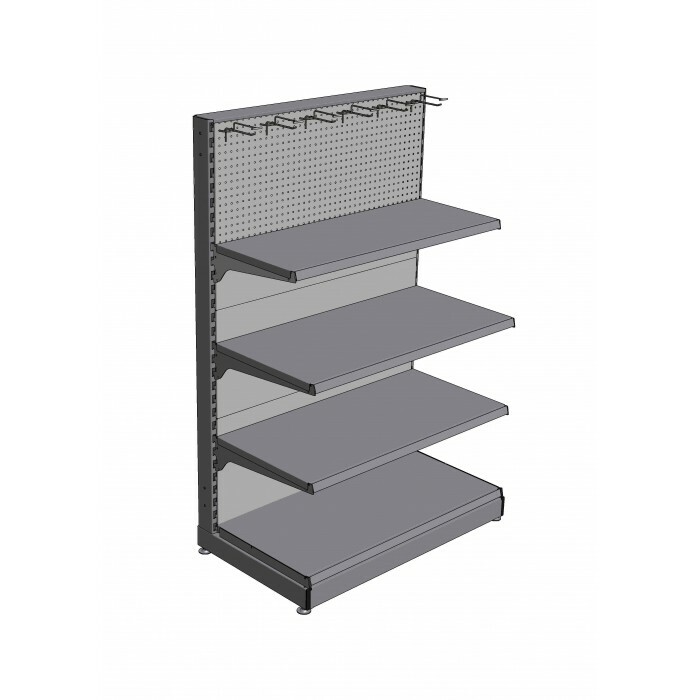 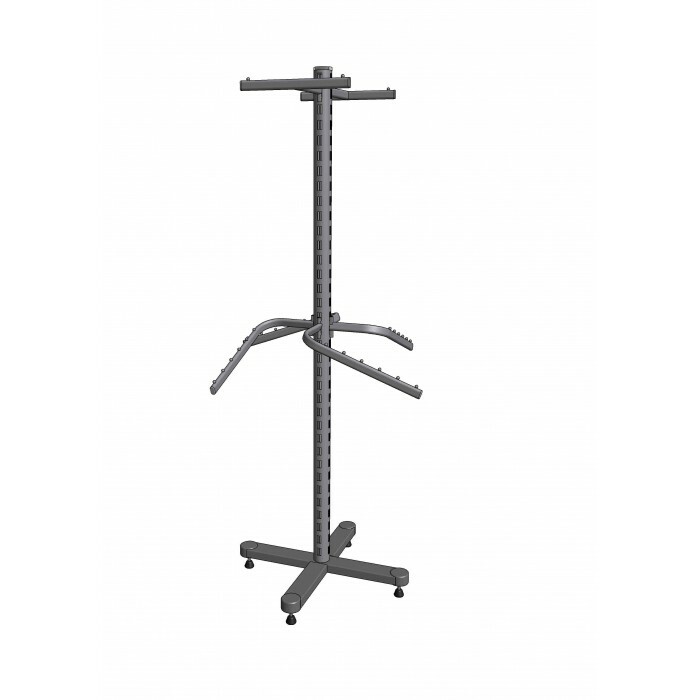 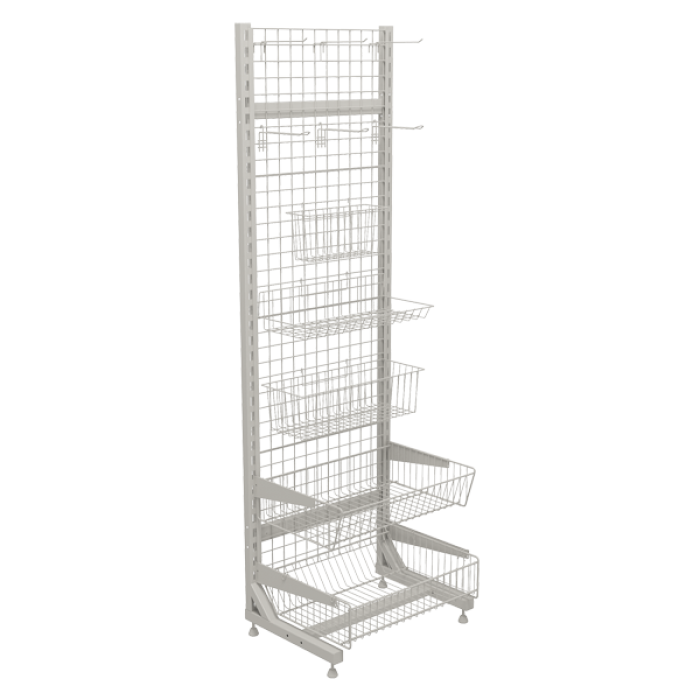 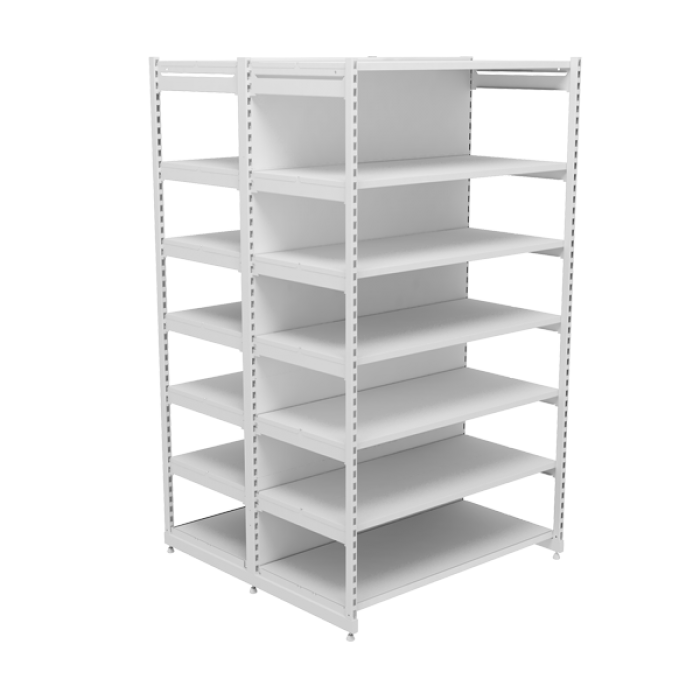 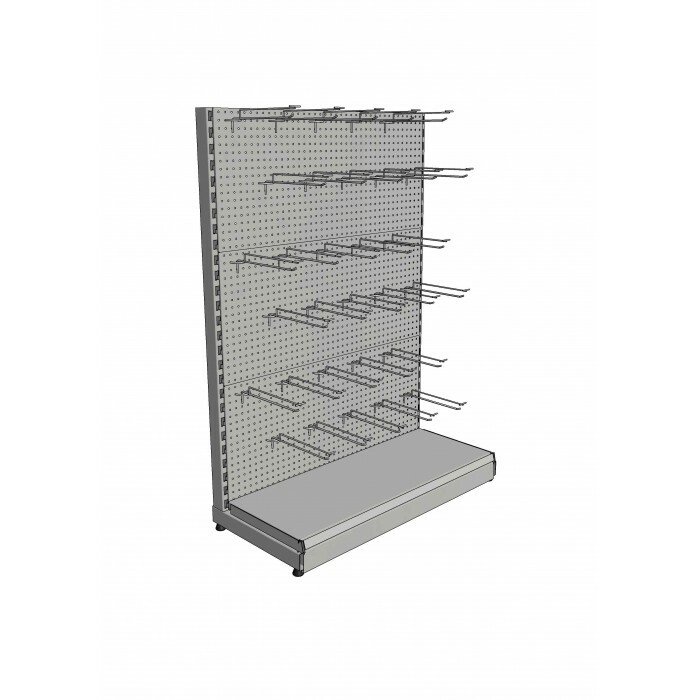 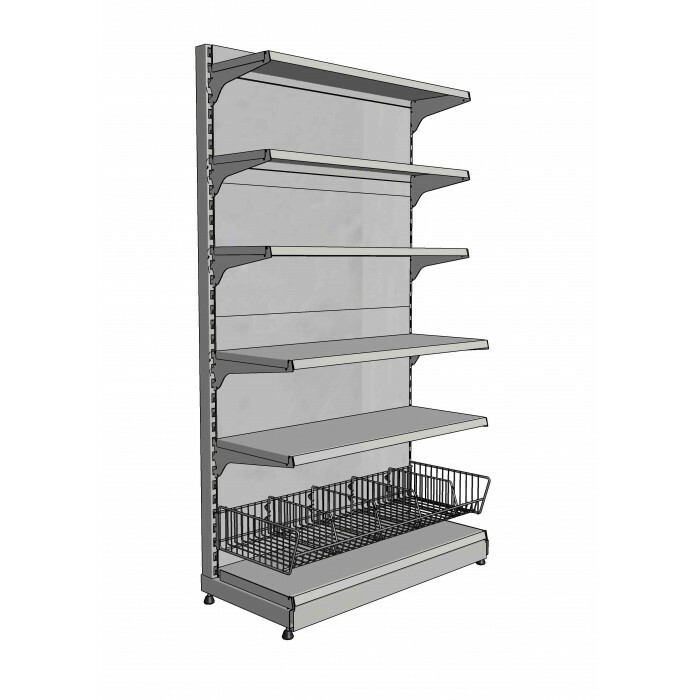 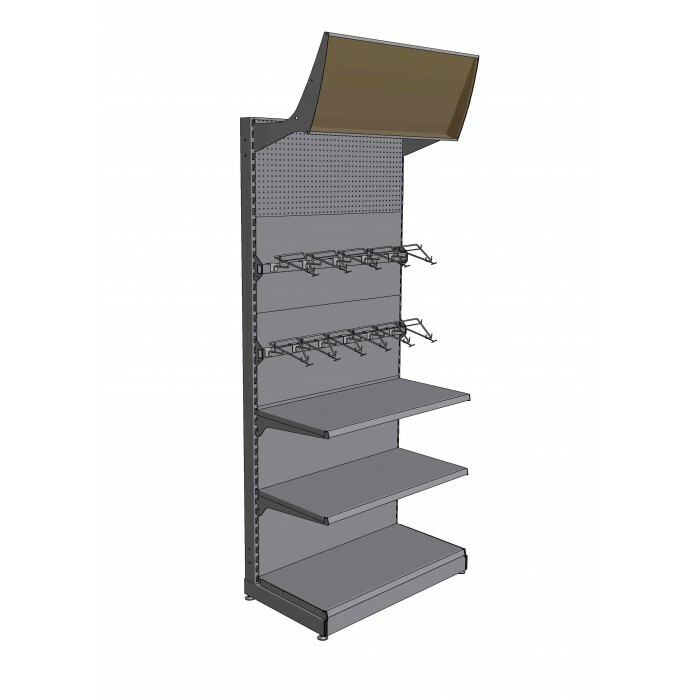 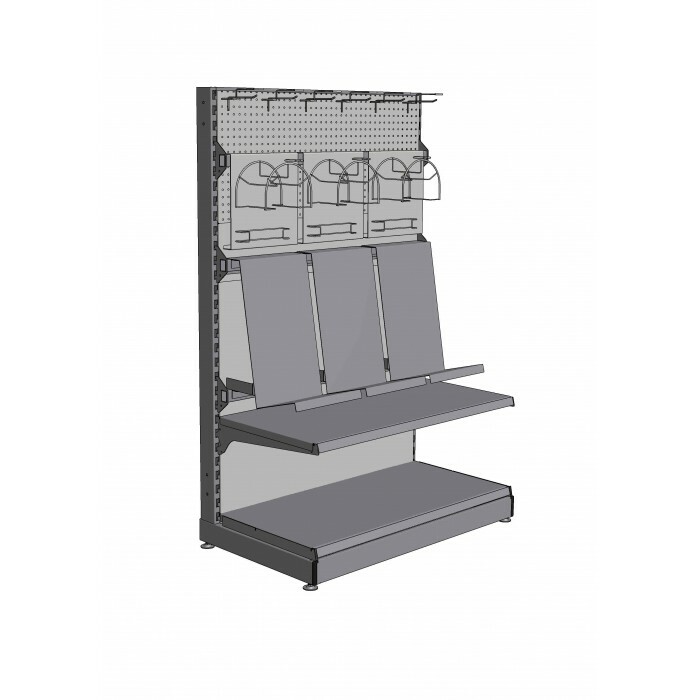 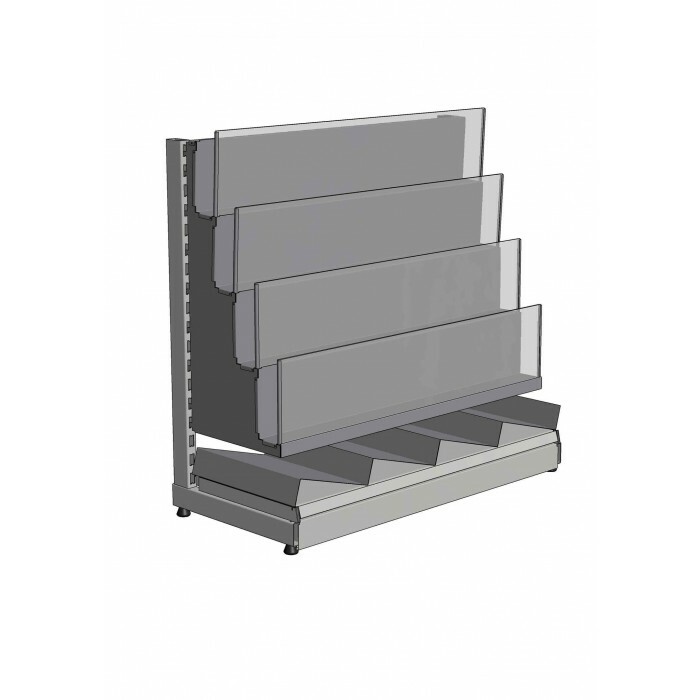 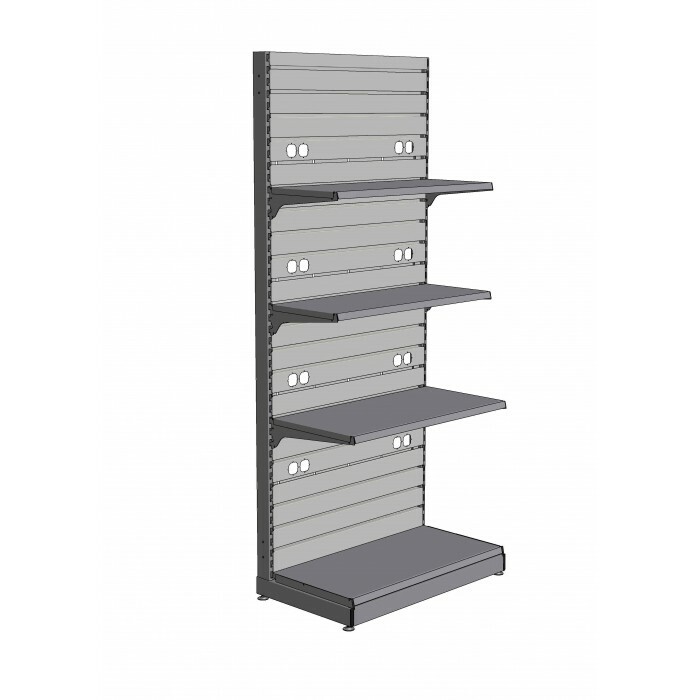 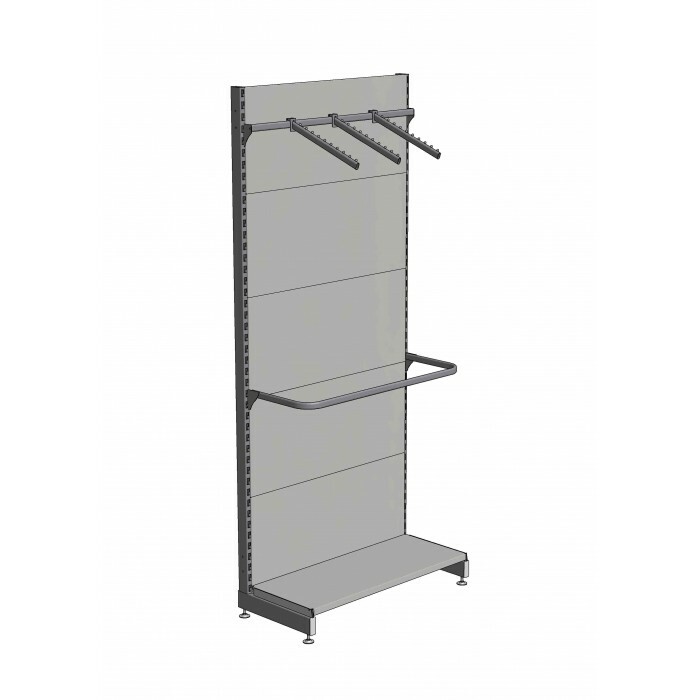 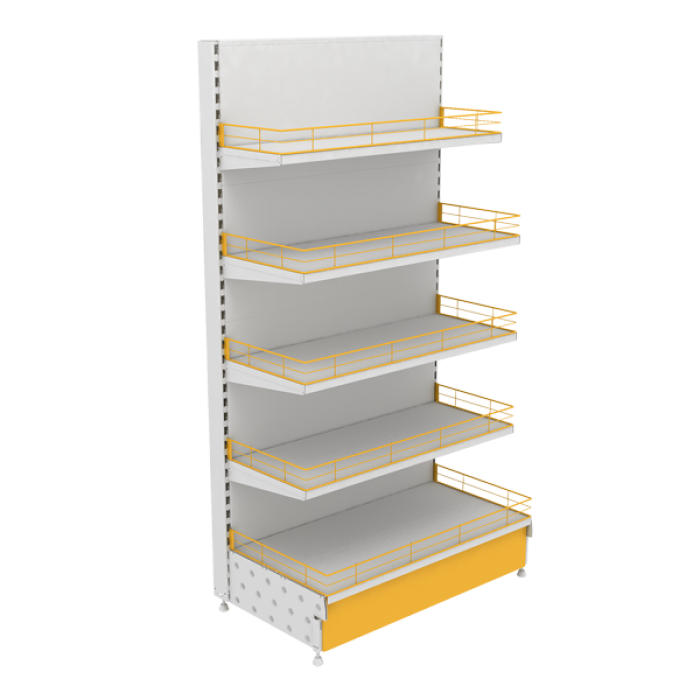 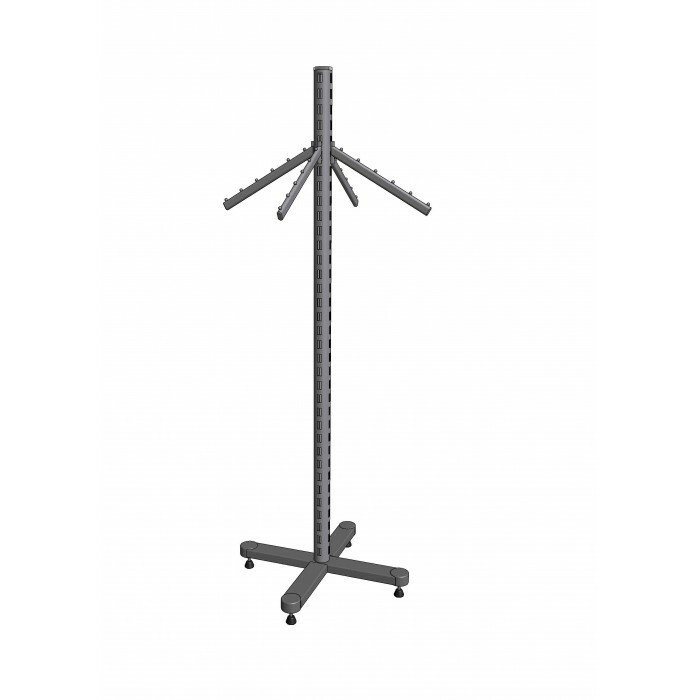 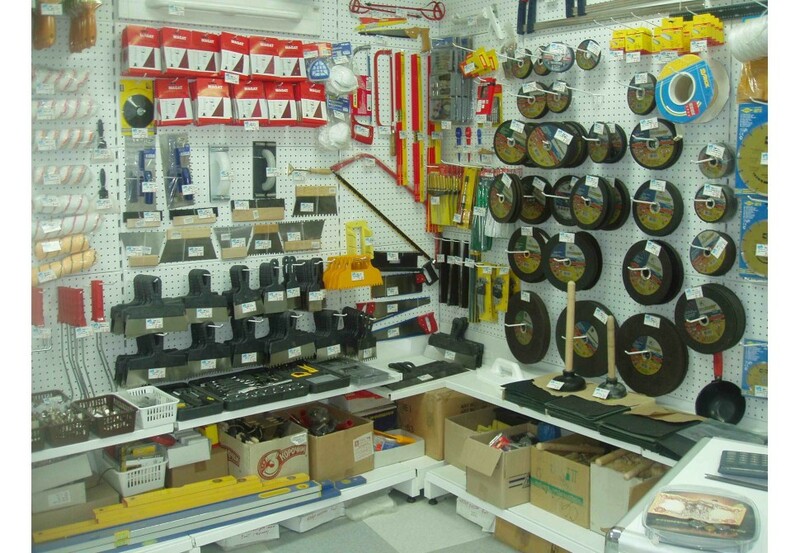 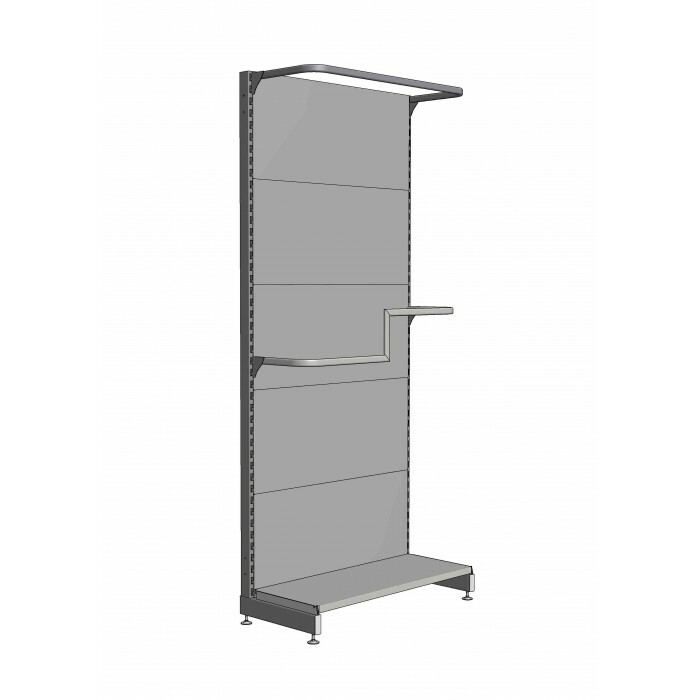 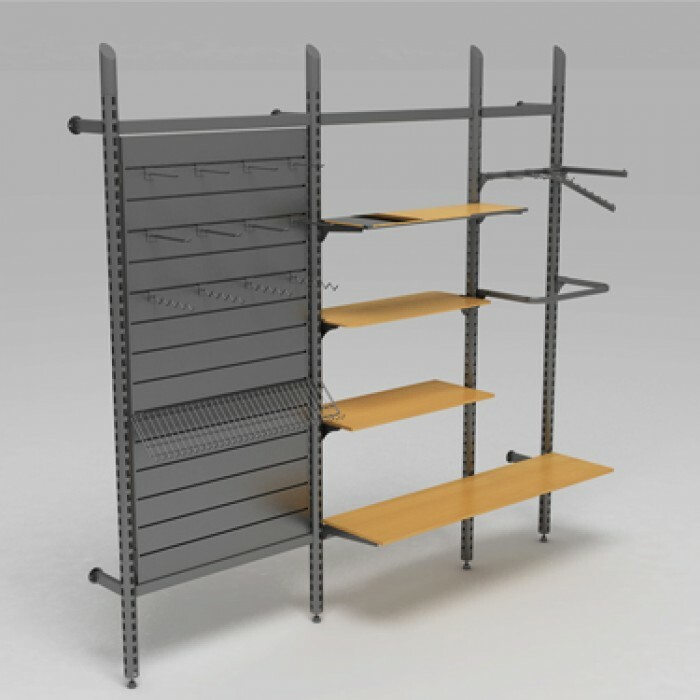 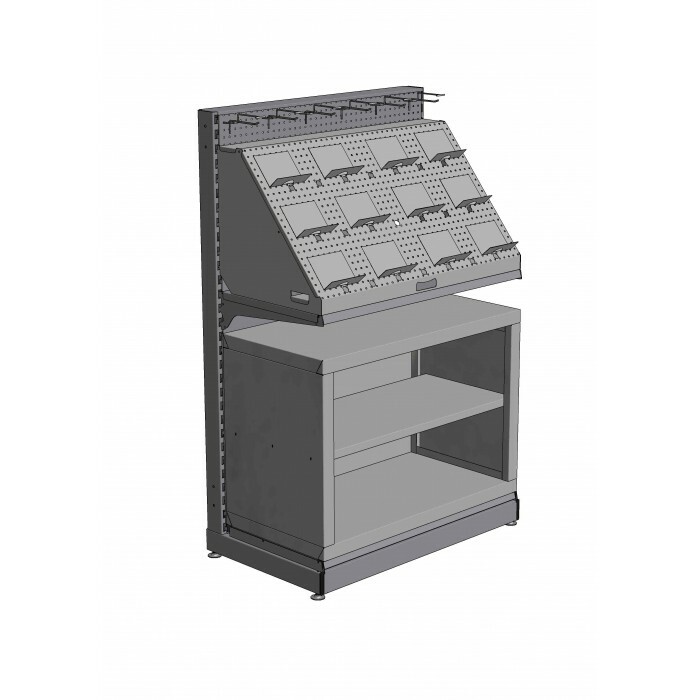 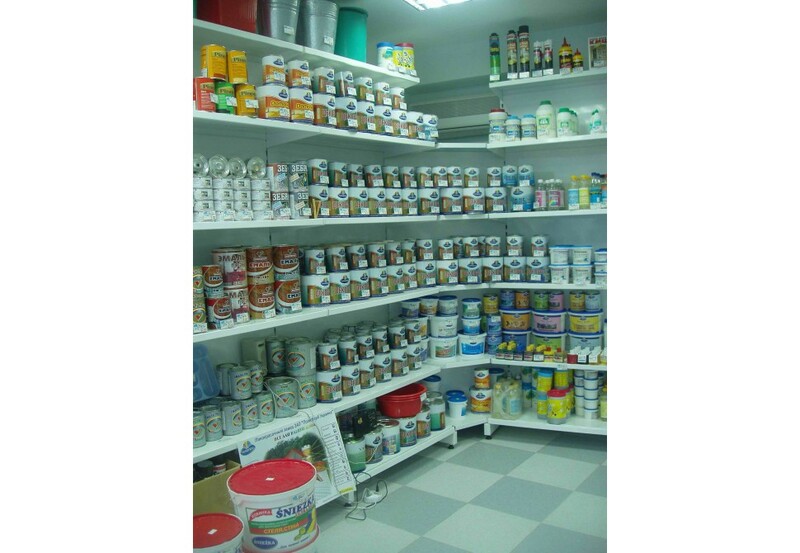 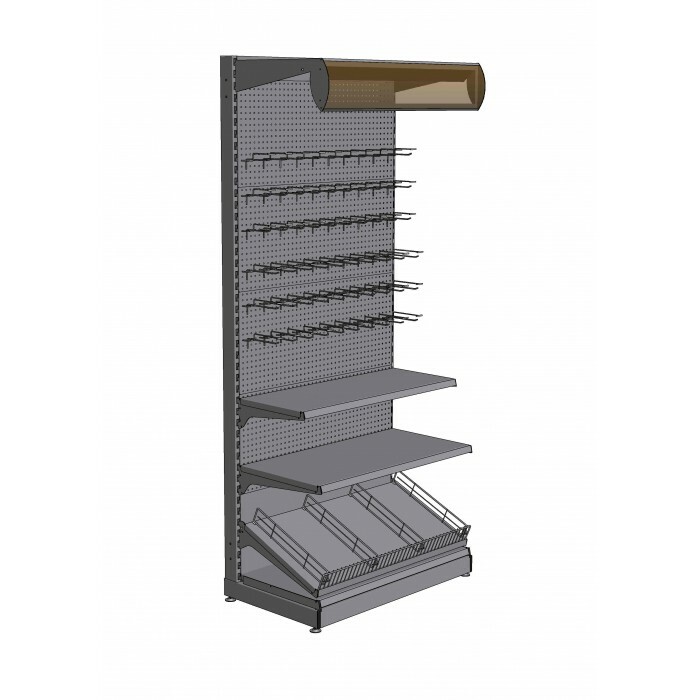 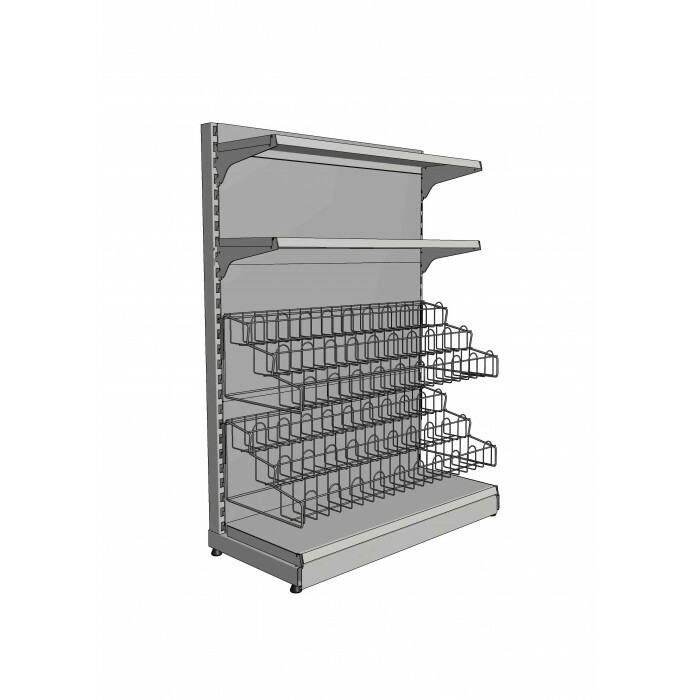 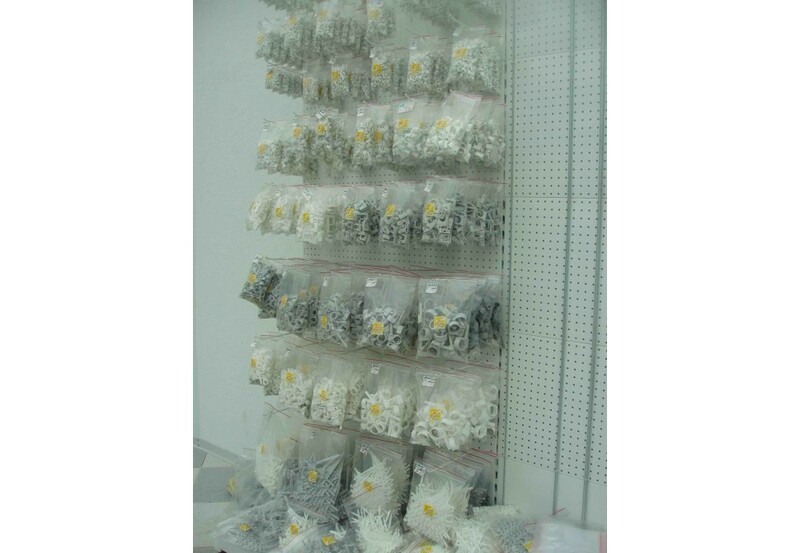 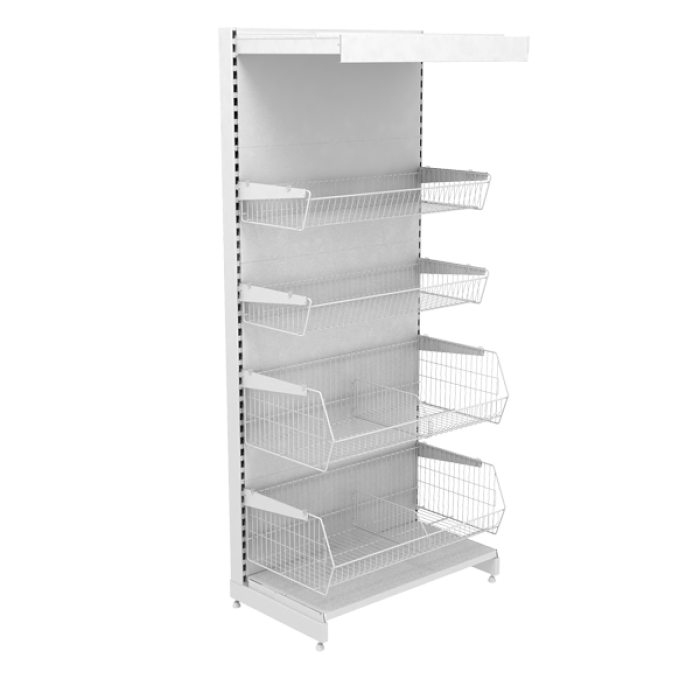 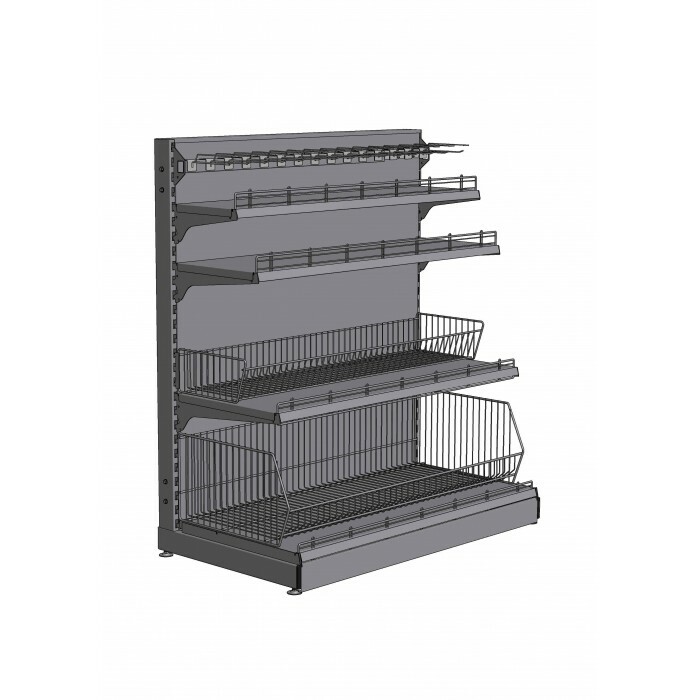 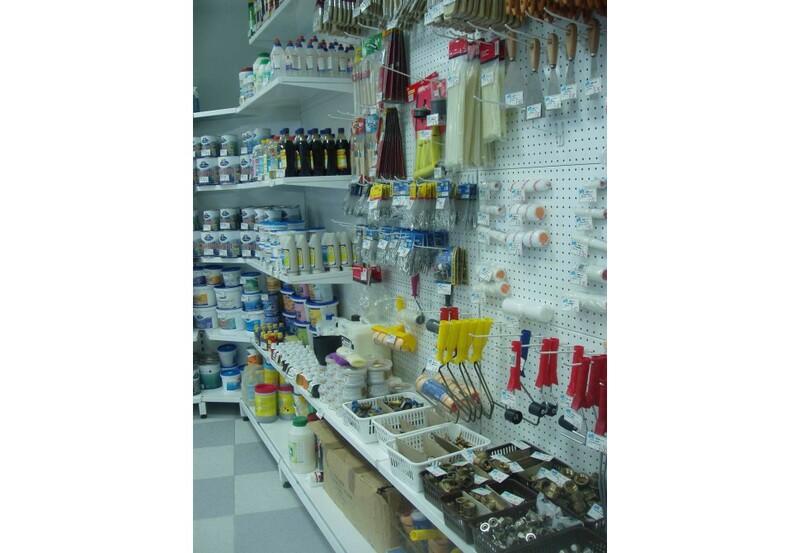 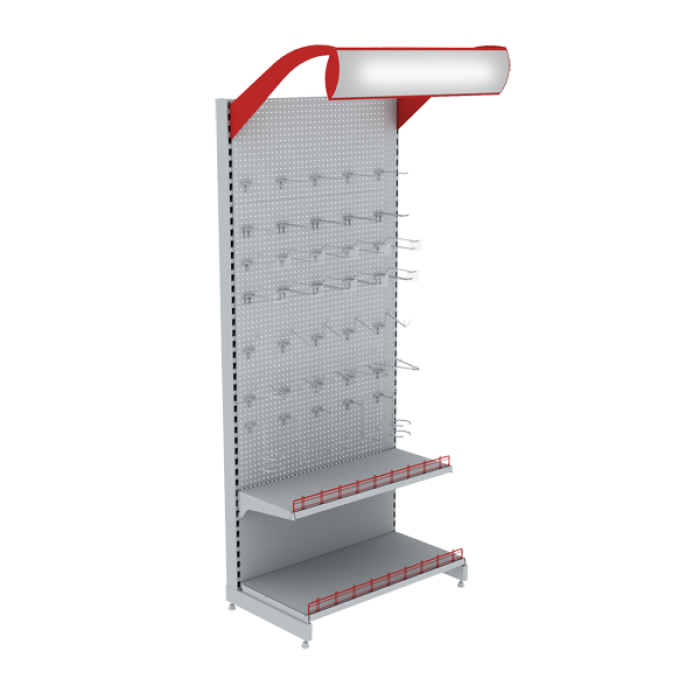 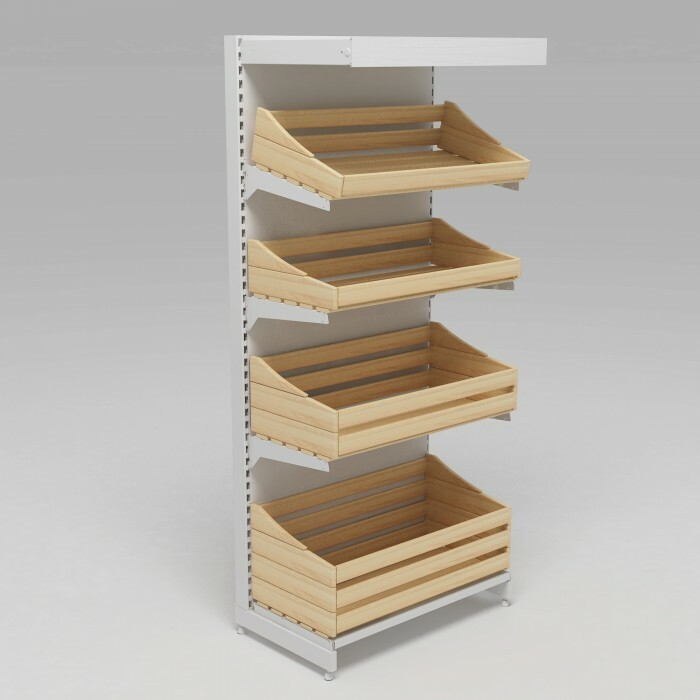 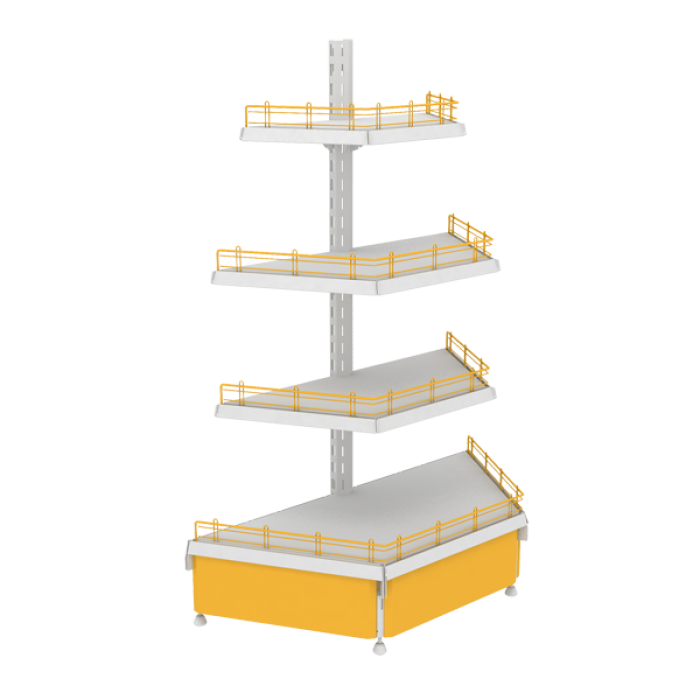 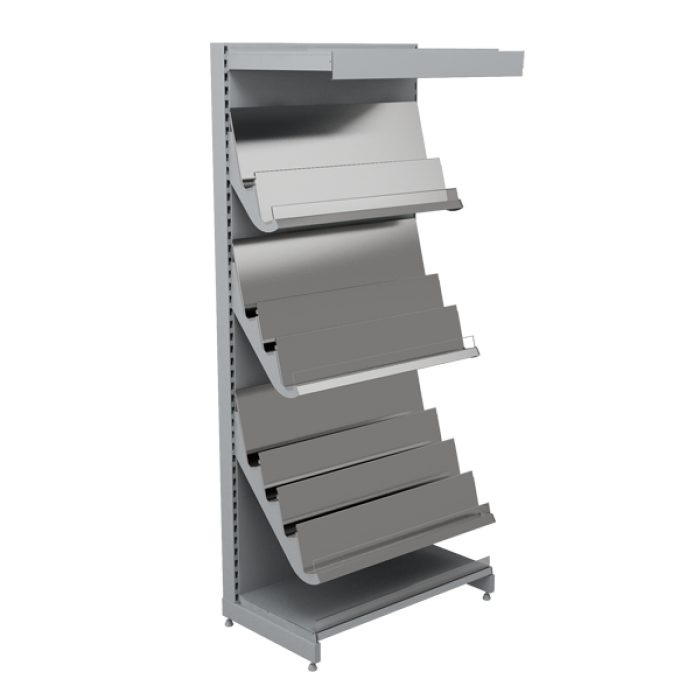 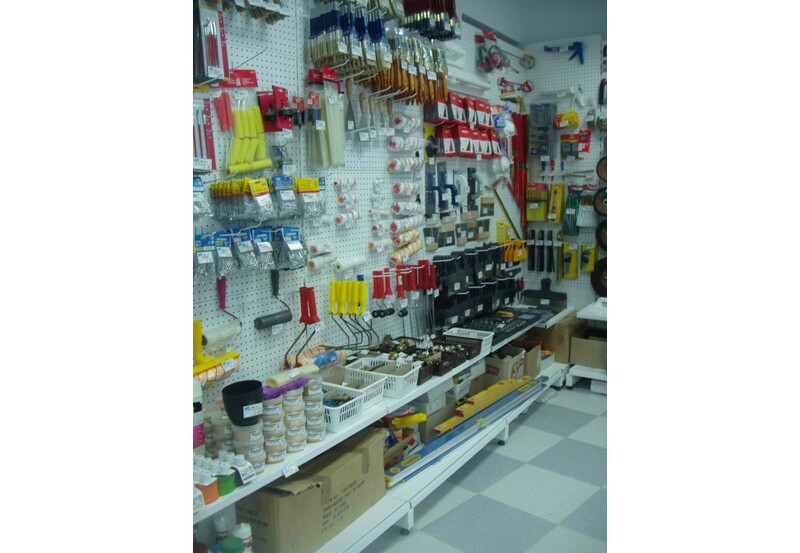 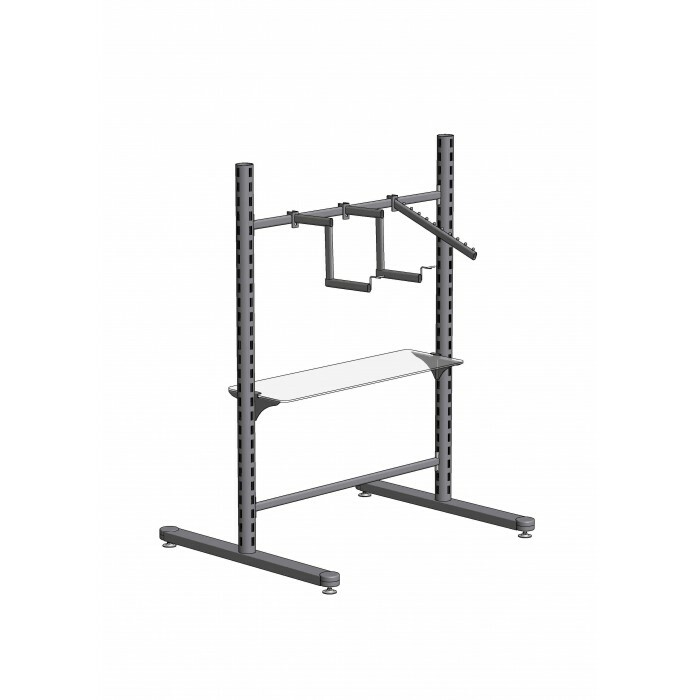 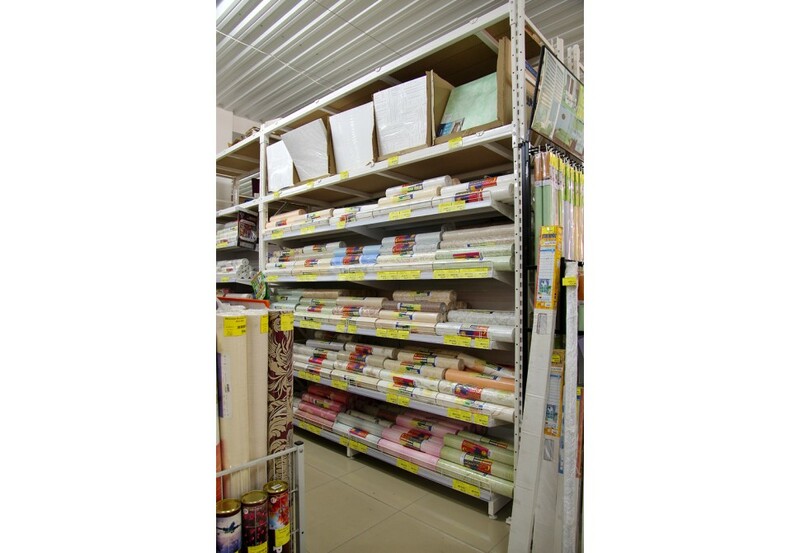 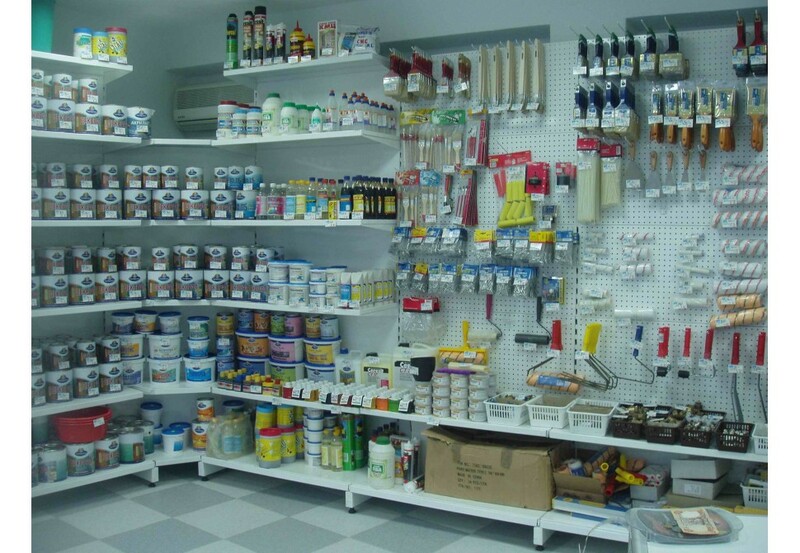 All MEDIUM series shelving has improved strength and a high load value.